Remember the time when most of us thought a container was for hire only by big companies who could afford the steep prices? Now gone are those days when a shipping container was used merely to transport goods and cargo all over the world. Through innovation, creativity and outright ingenuity, people have come to realise that a shipping container can be more than just that a giant looking brick. Containers come in all shapes and sizes and can have been converted to become school classes, study dens and even offices because it is sturdy and can be fitted with electricity cords for power. 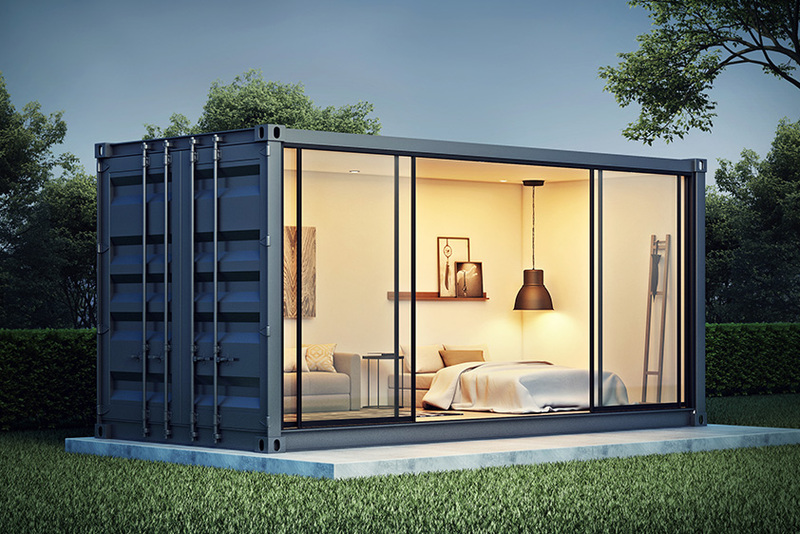 While you can still find a container for hire, you can also purchase one and turn it into your own private space. There are plenty more uses for it but before bringing your ideas to life, consult local authorities on the best way to proceed. A trend that has been employed in developing nations is to use recycled shipping containers as affordable low-cost housing. You too can purchase one and convert it into a home. Although such a project will need a team of expert architects, using the shell of a container is an effective way to save money on purchasing bricks and extra materials to create motar. But before you purchase a container, always do your research and inspect it carefully. Another innovative way to utilise shipping containers is to turn them into toilet facilities. This idea can work well in an area where the container can be connected to the sewer line. Such a project is ideal for construction workers who will be at a site for renovations and access to the toilets might be restricted. The toilet facility can also be equipped with more than just toilets but also urinals, wash basins and even showers. This might sound impossible, but a shipping container can also be turned into a swimming pool or a hot tub depending on your preference. They have strong frames as well, so they can be put underground but if you want to avoid the manpower and resources involved in doing so, you can place it above ground. Containers are water resistant so there is no worry about rust. These are just a few ideas on what you can do with a shipping container should you want to get your hands on one or two. You can start your research by contacting Affordable Containers for a quote.